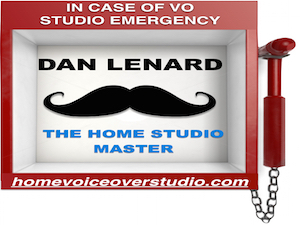 There's a lot of bad voice-over on TV. But rather than just cursing at the screen, I decided to turn my pet peeves into a learning experience. Below are a variety of terrible voice over performances, and the lesson that each can provide. Maybe it's because I'm getting older, but a lot of this problem seems to happen in medical commercials. I've even seen some commercials that were re-cut because the problem was so glaring… only to have some other problem in the new version. Lesson: Be certain of your word pronunciation and phrase emphasis. For many local businesses, politicians and public service spots, "real people" record the spots themselves. I get it. Money's tight, and professionals are expensive. But they might be "Penny Wise, and Pound Foolish" in the long run. When "real people" (ie. Amateurs) speak on camera, they're often not the same as in real life. The microphone and camera can be intimidating if you're not used to them. This tends to bring out odd qualities in folks. Primarily, it's a flatter tone, lower energy (or worse: pushed excitement). Lesson: You can actually pick up some excellent accents and regionalisms from watching "real people"… just be sure you don't pick up their low energy or fake excitement. The most important thing in most commercials is the company or product name. Yet in some, they are mispronounced. Odd how that can make it past so many approval layers, and yet… There it is. In some cases, it may be due to having different pronunciations in different countries. Car brands Hyundai and Jaguar are prime example. Other brands may have names that are unfamiliar or spelled in odd ways such as Xfinity or Ghirardelli. Lesson: Take the time to research the correct pronunciations when you audition. If there are still doubts, ask your agent. And in sessions, listen carefully and defer to the client's pronunciation. It's like fingernails on a chalk board: Vocal Fry. Bad Singing. Missing letters ("buh-uh" instead of "button"). Slurred speech. Mumbling. Over-Articulation. Few of us get coaching when we first learn to speak. Just learning a language can be a monumental task for a child. However, when you choose to speak as a part of your career, it needs to be one of your priorities. Lesson: Proper diction is essential to good voice-over work. Consult with a speech coach and address any issues that may hamper your future success. Cartoons were a big part of my childhood. Anime characters also have a very loyal fan base. I'd watch, laugh, memorize and imitate the voices. Lots of kids do that. It's fun, and sometimes you can get a laugh from your friends, or when you're older, the people at a party. 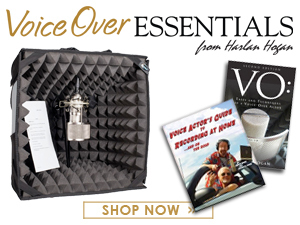 However, it's a gigantic step from having fun imitating voices to a career in voice-over. 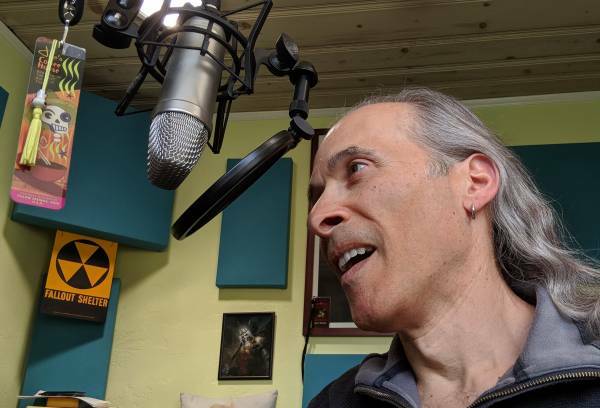 With cheap microphones and easy access to editing software, it's become very common for people to make their own videos for YouTube, and think that that's the way to break into Cartoons and Anime. Please don't misunderstand. I'm definitely not talking about audio drama. I'm with several stellar groups, and there are many fine actors who contribute their time and talents to create compelling stories. But they have put in the effort to be trained on stage, or have taken classes or been coached. Lesson: We all start somewhere. For many people, that may be imitating voices they admire. But a voice-over career takes a lot more than just mimicry. Do yourselves a favor and get training in acting, improv and singing. Perform for live audiences. Get direction and coaching. If you wanna get the jobs, you gotta put in the work. 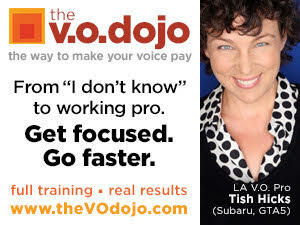 So, the next time you hear some really bad VO, step back and take the time to see why it bothers you. It may alter the way you approach your own auditions and performances. 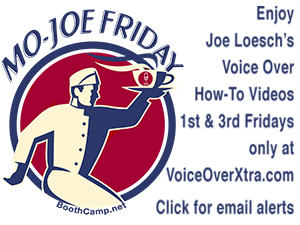 Joe J. Thomas is a Los Angeles-based voice actor working in games, animation, dubbing and commercials. If you've played an online game in the last decade, you've probably killed him. He also writes a weekly creative blog called Joe's Dump. At least with regard to incorrect emphasis and mispronunciation, if we hear these things on agency-produced spots, it's either a case of the producer or director genuinely not knowing, OR simply not caring. While incorrectly placing emphasis on the wrong syllable or word can completely change the context and, thus, the meaning of a sentence (and no one would be the wiser), the mispronunciation of words just casts doubt on the education of those responsible. Take, for instance, the agency-produced commercial I heard already 20 or more years ago on New York City radio, where the word "percolate" was pronounced "perk-yoo-late." Either the talent made a mistake that got past the engineer, producer/director and client... or the talent was DIRECTED to say it that way. Either way: yikes.